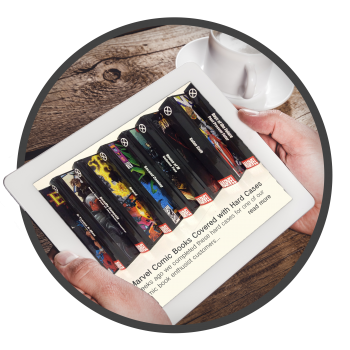 We specialize in short-run binding projects ranging from a single book to thousands. Since 1935, Houchen Bindery has provided book binding and preservation services for universities, public libraries, schools, printers, publishers, and individuals all over the country. We offer personalized delivery service throughout the greater third of Mid-America and work with clients spanning from coast to coast. 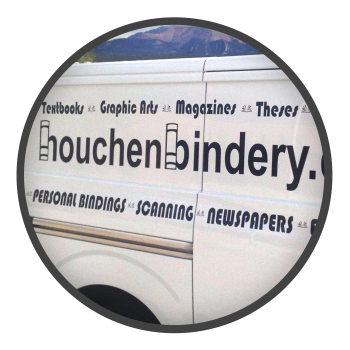 Every day Houchen Bindery Ltd. is entrusted with binding thousands of books, one book at a time. To provide long shelf life and preservation of valued books and documents, our binding standards include attention to detail, workmanship, and utilization of durable materials. We produce a significant majority of our product by the LBI’s standard. When we do not, it is by the choice of our customer. We offer a wide variety of binding services for organizations, libraries, schools, and individuals all over the country. For decades they have trusted us with their needs, such as library and edition binding, textbooks, comic book hard covers, theses and dissertations, restoration, and digital conversion. 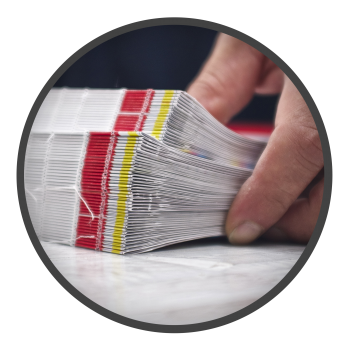 Guidelines, specifications, and instructions for each kind of binding process we offer are outlined to help prepare your binding order. To place an order, download the appropriate document(s) to complete and ship with your books, or upload your manuscript through our book builder to place an On-Demand Printing order. We’re here to help answer any questions you may have, and we’ve answered a number of frequently asked questions for our different services. You can contact our sales team by phone, email, or contact form to talk about your project. See and read more about the books we’ve worked on with our customers. Check out our latest employment openings and student internship opportunities.